To love someone is to tell them God’s truth, as it is seen in Christ. 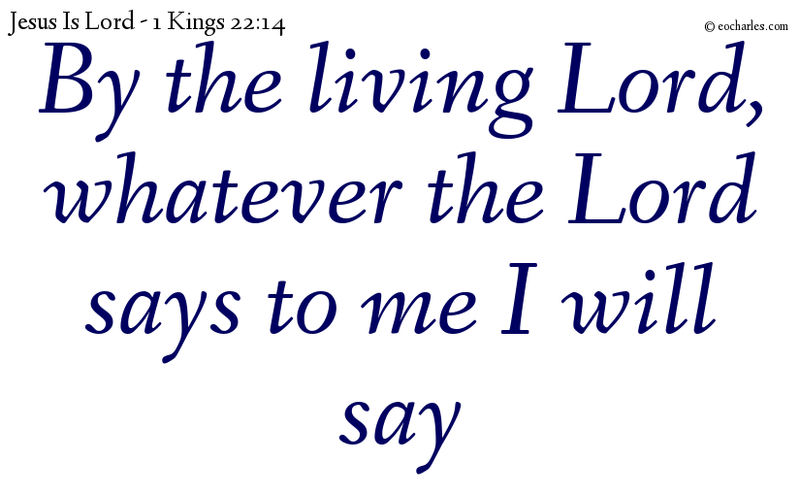 And Micaiah said, By the living Lord, whatever the Lord says to me I will say. Next Next post: Have no fear in the storm, you and all who are with you, will come through it.